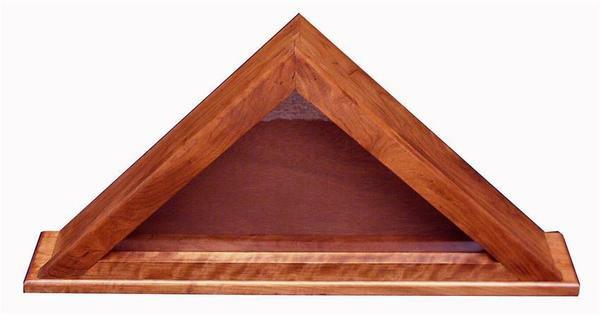 Our beautifully handcrafted Amish Hardwood Flag Display is a triangular flag display that showcases your national pride and patriotism with elegant style. This beautiful flag display is made using the finest premium hardwoods in North America by authentic Amish craftspeople. 28" x 4" x 14.5"